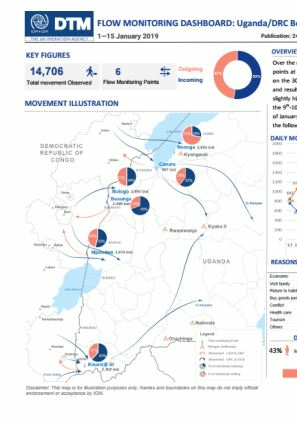 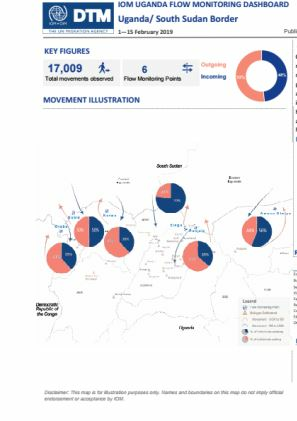 Over the reporting period a total of 34,793 movements were observed at nine (9) ﬂow monitoring points at the border with the Democratic Republic of Congo (DRC). 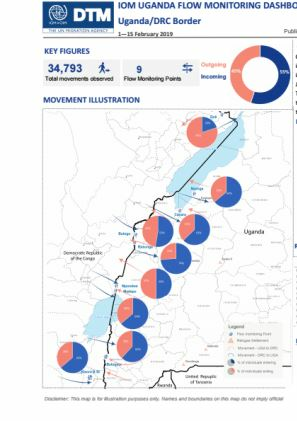 The increase in ﬂows registered through the DTM is due to the opening of new FMPs in Goli, Madepo, and Butogota in January. 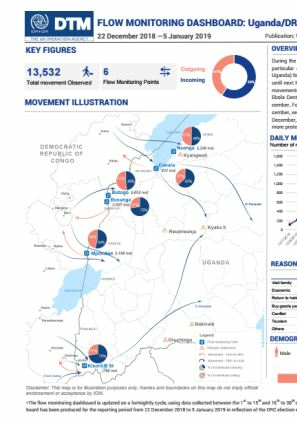 Inﬂows into Uganda continued to be slightly higher (55%) than outf1lows to DRC (45%). 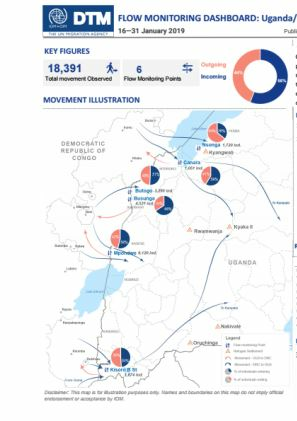 The signiﬁcant drop in movements both incoming and outgoing recorded between the 10 and the 12 of February is due to an increase in the immigration fee required by DRC border authorities which was quickly re-adjusted.